A helpful adjunct used to enhance the performance of braces, rubber bands are additional tools orthodontists use to effectively align a person’s bite. To better understand how they work and why they are so popular, consider the following guide on orthodontic elastic. To understand how orthodontic rubber bands function, you first need to understand how braces work. Braces are glued to the surface of the teeth and utilize wires to apply pressure to teeth and guide them into alignment. While this successfully aligns the lower and upper sets of teeth, it isn’t enough to correct a misaligned bite. To correct some relationships between lower and upper sets of teeth, orthodontists rely on various strategies, including functional appliances, springs, headgear and even surgery. Most commonly, however, orthodontists utilize orthodontic elastic bands to correct misaligned bites for several different reasons. For one, they are far less noticeable compared to other options such as headgear. They are also flexible and stretchy enough, so patients can maintain a complete range of motion while yawning or talking. Since they are easy to remove, rubber bands can be quickly replaced without the need for appointments or costly parts. Easy removal and replacement also allows patients to eat and brush without any difficulties. Most importantly, however, orthodontic bands are very effective at correcting the most common types of bite issues, including underbites, overbites, crossbites and open bites. In addition to being especially versatile, bands are very cost-effective compared to other instruments available for bite correction. While they are affordable and effective, orthodontic bands aren’t perfect. Since they are completely reliant on patient cooperation, bands will fail if they are not worn as prescribed. This is because constant pressure is needed to achieve desired results. When patients take prolonged breaks from wearing their bands, they often experience regressions in progress. That said, when patients wear bands according to guidelines, they tend to have excellent results. According to the California Dental Association, orthodontic bands can cause problems for people who have latex allergies. Patients must also be careful to stretch the bands only far enough to reach the hook, since overstretching can cause the band to lose its strength by pulling it out of shape. It’s also necessary for patients to carry plenty of replacements wherever they go, since orthodontic bands can break from time to time. In addition to the benefits discussed earlier, orthodontic bands are quite effective at improving aesthetics and bite function caused by malocclusion. 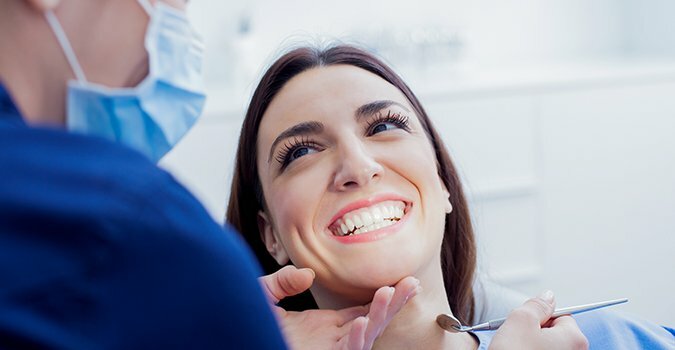 When left untreated or treated improperly, a bad bite can lead to all sorts of problems, including impaired chewing, speaking and temporomandibular joint disorder. In some instances, teeth may also wear unevenly, since certain teeth are forced to perform inappropriate or excessive biting and chewing functions. When worn as directed, orthodontic bands can help patients avoid these types of problems, while giving them a smile they can be proud of.